I am in the last week of my senior year of journalism. Having the chance to take this year as an exchange student at the University of Missouri, Columbia showed me how important education is for good journalism. When I started my education at the New Bulgarian university at Bulgaria I was already working as reporter at the Bulgarian National television. I though journalism was much more hands-on than education and the University degree cannot help you to do better journalism. The Journalism School of University of Missouri proved me wrong. Being considered for the best Journalism school in the USA and in the world, this school has a very interesting approach toward journalism education with their famous, Missouri method. The Missouri Method focuses on having real life experience during your course of education. Now I can see that education of journalism is definitely the basic tool for creating good journalism; therefore the journalism status of a country really depends on the education that this country provides for journalism majors. That is why I decided that I have to start my research on Kenyan journalism issues from the education of Journalism and Mass Media in Kenya. The three best schools for journalism are Daystar University, United States International University and Multimedia University. Daystar University is one of the recognized universities in East Africa not only in Kenya. 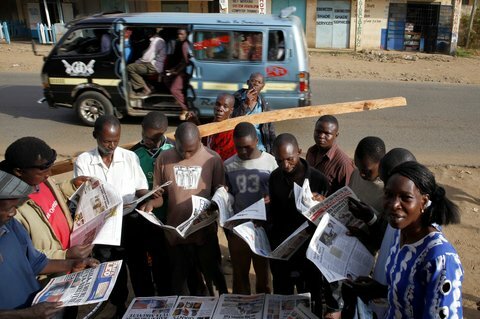 It has sent out a majority of professional journalists in Kenya. Top ranking journalists in Kenya have come from this university. 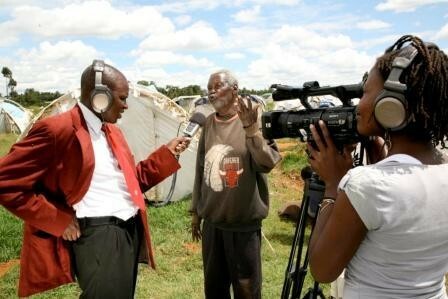 Multimedia is also ranked as one of the best schools for journalism in Kenya. United States International University (USIU) is an international university that offers a journalism program to students. Many of their students have joined the media industry with international relations degree amid journalism that has different majors and minors. The CNN African Journalist winner John Allan Namu came from USIU. But when one finishes his or her education in journalism, this doesn’t mean that they can be very good journalists. The level and creditability of the journalism job not only depends on the abilities and knowledge of the journalist himself but also of the overall situation and legislations in the country. That is why we cannot talk about Kenyan journalism without taking a look into the legislation of the media in Kenya. Media in Kenya is regulated by a statutory body called the Media Council of Kenya. The Media Council of Kenya is an independent national institution established by the Media Act, as the leading institution in the regulation of media and in the conduct and discipline of journalists. It is mandated amongst others to register and accredit journalists, register media establishments, handle complaints from the public and create and publish yearly media audit on the Media Freedom in Kenya. During accreditation the journalists agree to adhere to the Code of Conduct and Practice of Journalism in Kenya, which was created by media practitioners and stakeholders with the view of making Journalism in Kenya a more professional and respectable field. The Code of Conduct link can be found here. There are 22 points in this conduct code. Even thought the conduct code aims to make journalism more reliable and respectable in Kenya sometimes, Kenyan journalists are criticized about their work. The best tests for journalism in a country are the important events in the country that have very strong social influence. This was the case with the 2013 presidential elections in Kenya. The whole world was watching Kenya and the journalists’ jobs were more than important with lots of responsibility in this case. The main reason that these elections were so important for the country and were defined as “historic” is because they were the first elections in the country after the elections in 2008. 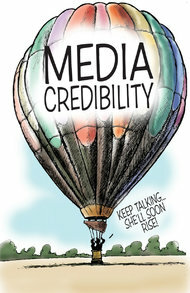 The criticism was that the mainstream media helped propaganda for the candidates and was tolerating hate speech. This attitude in the public sphere increased the tension between the different candidates and their allies. Even Joshua Arap Sang , radio journalists of Kass FM, is due to stand trial, along with Kenyatta and his running-mate William Ruto, at the International Criminal Court in The Hague, for his role in the 2007-08 violence. This is why in the current elections the media outlets tried to avoid increasing attention. However, some observers claimed that they have gone too far in the other direction and have failed to do their surveillance job and be “watchdogs “ of the elections. The criticism was that this was irresponsible because the journalists were miscounting the vote rigging. Some think all of the attempts of defending is pointless because the facts show the media coverage of the elections and the campaign were not adequate. The main reason for that was the fact that the speeches that candidates made before the results were announced were not broadcast live.